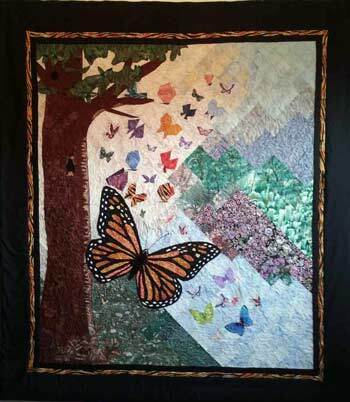 Comfort Quilters come together twice a month to work on various quilts. The quilts are distributed to anyone facing difficult and life-challenging situations throughout our local community and beyond. On average we give out 160 Comfort Quilts every year. Included in that are children's quilts to Children's Aid Society in Trenton. Brighton Rotary, Stirling Rotary and Kente Kiwanis are faithful supporters of this worthwhile cause. The support we receive from these groups helps us buy supplies to complete the quilts. If you know of any service group that would like to donate to Comfort Quilts, please let us know. We continue to get requests from members and friends to fill the need of a comforting hug with a quilt. Some of the Guild members who are not able to join us at the organized events have been faithfully working on quilts at home. All contributions to make quilts are greatly appreciated. We invite you to join us at the meetings held twice a month. It is a great place to learn new quilting skills and enjoy the company of fellow quilters.